Need a new pair of extrication gloves? Some of our best options are detailed below, so you’re sure to find gloves that meet your needs. Featuring a newly designed, multi-layer construction, the Pro-Tech 8 Fusion Structural / Wildland Firefighting and Extrication Gloves are amazingly lightweight, flexible, and comfortable. 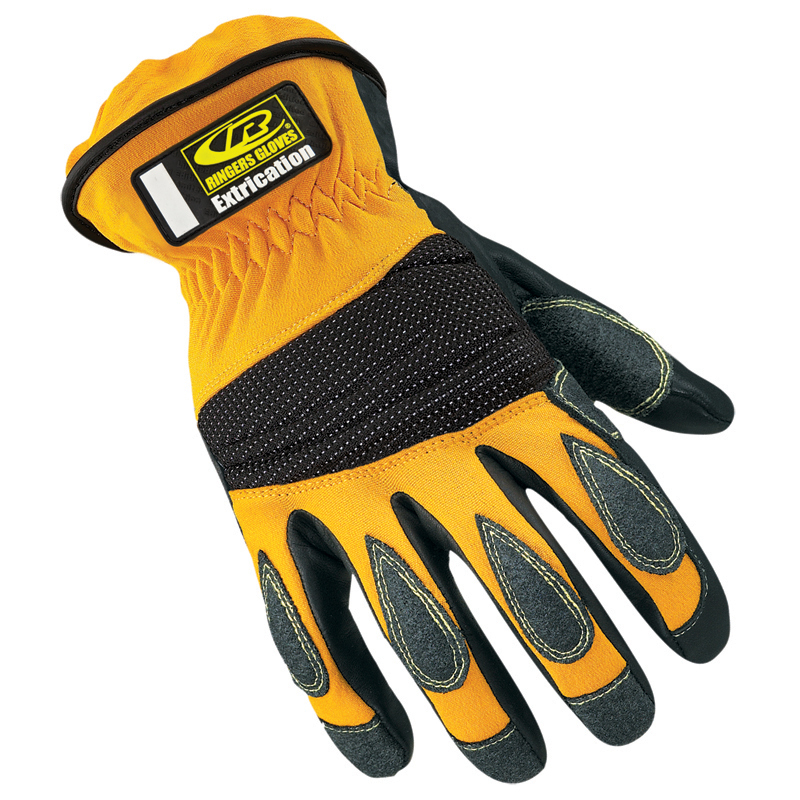 Far surpassing the strict protective and performance requirements mandated by the NFPA 1971 Standard – 2013 Edition, the gloves maximize your “gloves-on capability” for a variety of fire-ground tasks, including structural, wildland, and extrication, resulting in the ultimate enhancement to hand safety. 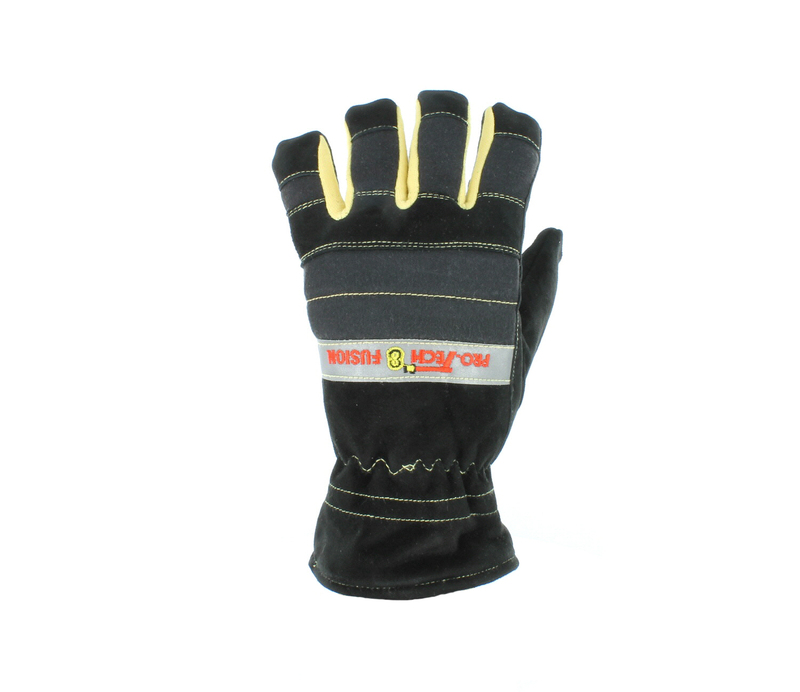 The Ringers Extrication Gloves are designed specifically for auto extrication, and first responders universally praise these dexterous, puncture-and abrasion-resistant gloves. Featuring anatomically designed palm pads and reflective Schoeller padded knuckles, the gloves’ elastic cuffs easily keep out debris, such as glass. The HexArmor EXT Rescue 4013 Extrication Gloves are exactly what first responders need: adaptable, versatile, and agile gloves that can be trusted. Featuring high-grip TP-X reinforcement and advanced impact-protective technology, you can count on your hands being protected from sharp edges thanks to the level-5 cut-resistance technology on the palms. 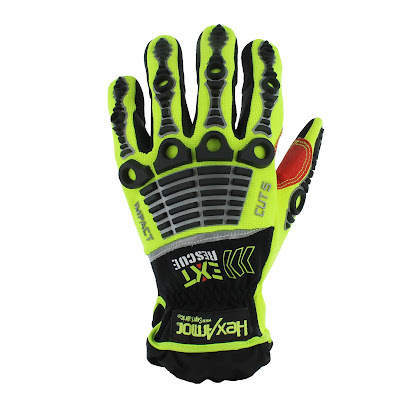 Additionally, the gloves’ Hi-Vis color schemes augment visual awareness. Want to learn more? Check out all of our extrication gloves at TheFireStore.com.